A Maker Faire brings together families and individuals to celebrate the Do-It-Yourself (DIY) mindset and showcase all kinds of incredible projects. At Maker Faire, you’ll find arts and crafts, science and engineering, food and music, fire and water but what makes this event special is that all these interesting projects and smart, creative people belong together. 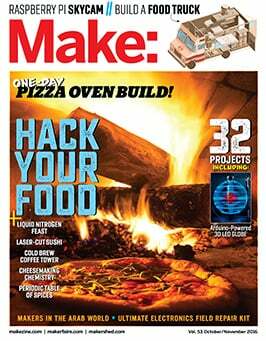 They are actively and openly creating a maker culture. In its simplest form, Maker Faire creates conversations with Makers. It is a show-and-tell format for people of all ages that bring out the “kid” in all of us. Maker Faire is a community-based learning event that inspires everyone to become a maker and connect to people and projects in their local community. Yet, Maker Faire is a “fair” that is fun and engaging. The MV Mini Maker Faire is organized by librarians from the six Vineyard libraries under the umbrella of the Martha’s Vineyard Library Association with initial support from area businesses and community groups, including the Martha’s Vineyard Museum, Featherstone Center for the Arts and MV Community Services. With a combined mission to foster a culture of creativity and innovation, we have worked to provide an exciting venue to allow local makers to showcase and share their passions with our Island community. The original Maker Faire event was held in San Mateo, CA and in 2015 celebrated its tenth annual show with some 1100+ makers and 145,000 people in attendance. World Maker Faire New York, the other flagship event, has grown in four years to 600+ makers and 80,000 attendees. Detroit, Kansas City, Atlanta, Milwaukee, Orlando, Pittsburgh, San Diego, Silver Spring, Ottawa, Lisbon, Paris, Rome, Berlin, Newcastle, Hannover, Oslo, Trondheim, Seoul, Singapore, Taipei, Tokyo, and Shenzhen are the home of larger-scale, “featured” Maker Faires. In addition, over 120 community-driven, independently organized Mini Maker Faires are now being produced around the United States and the world—including right here in the East Bay.